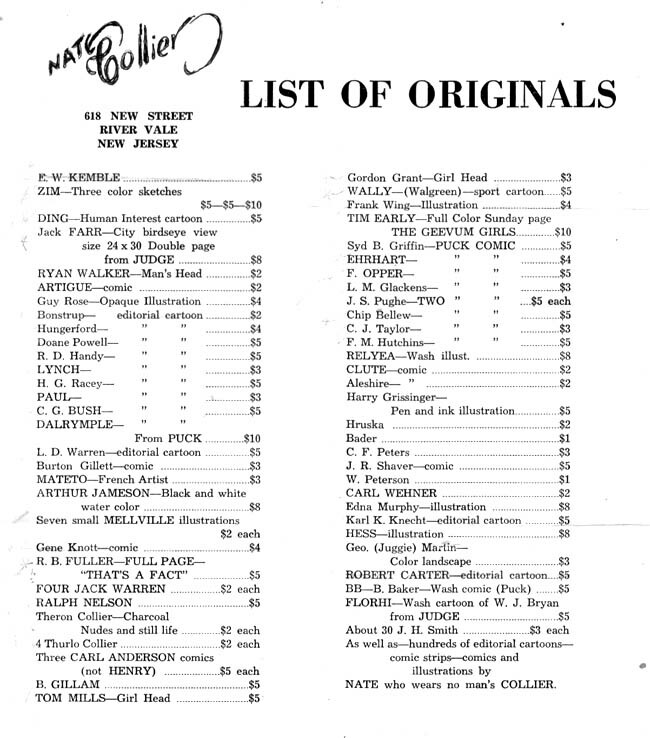 Here is an original art sales list from cartoonist Nate Collier. 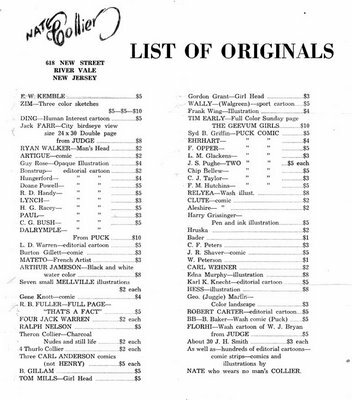 It was circulated in the 1950s. Obviously in addition to being an excellent cartoonist in his own right, he was a fan of the great cartoonists of the past. Check those prices! At least we know these should be in circulation. That should make the ultimate cartoon collector’s ‘treasure hunt’. To find each of these cartoons. Nate Collier, by the way, is the cartoonist in most of the Cullman Banner pages I downloaded for those Jack Kirby weekly strips. I’ve been through the Cullman Banner now, and I never saw a Nate Collier piece there, at least I don’t recall any. You sure about that? Look for the political cartoons. I believe it was in the Cullman Banner… or was it one of the other two I have been looking at? Let’s have a look… I have found one in the Perry Chief Advertiser for jan 23 1941, which I am sending you.